3 1/2" x 4 5/8" stapled "Rite in the Rain" flexible cover, 24 pages (12 sheets). JOURNAL pattern. Pack of 3 mini books. Are there any fishermen out there? 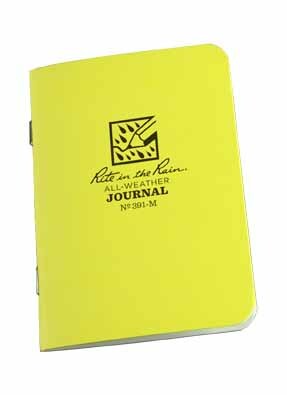 This is an inexpensive, compact book for recording information on the fly.